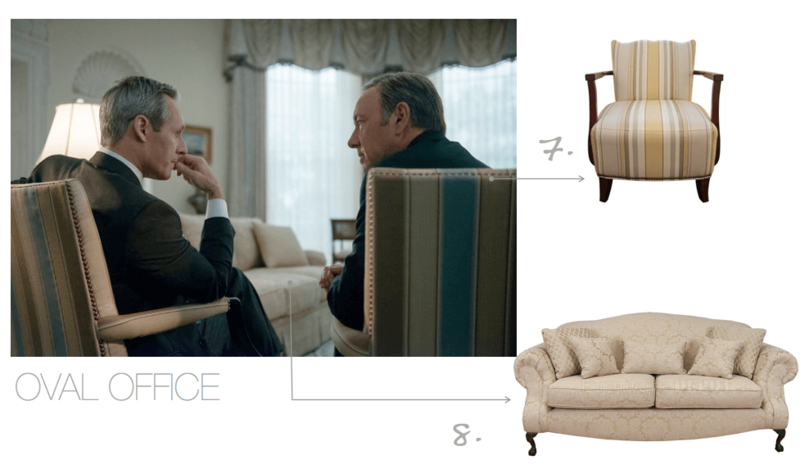 Have you ever felt pulled into a TV show because of its comfy living room or glam bedroom set? For design lovers, appreciating good design is not reserved for real life experience only. 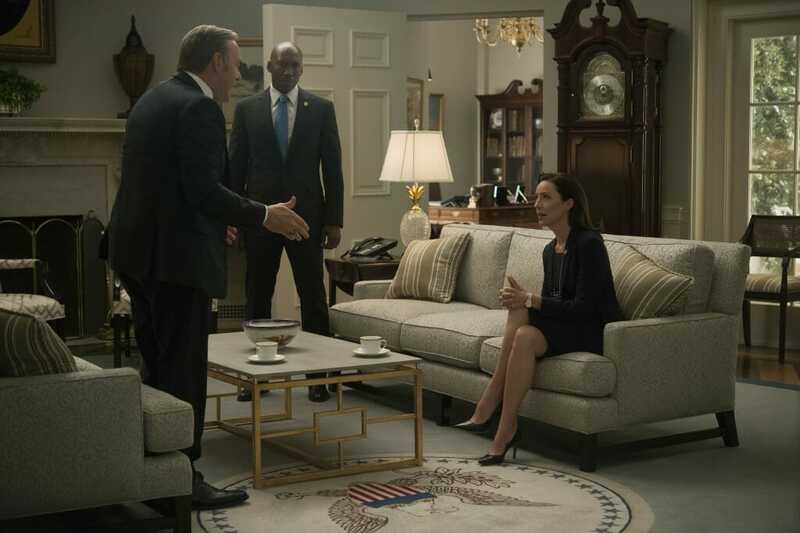 Stepping into TV spaces is easy when decorated in impeccable style like the interior design in House of Cards. The Decorilla team is lucky enough to work with top designers from around the country and see their designs, but we also love to be inspired by other sources. The House of Cards show undeniably caters to fantastic traditional style, which we love! 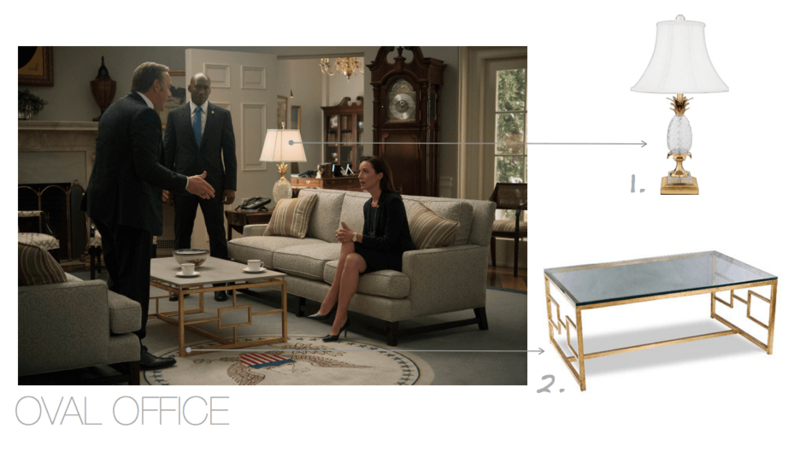 From the Underwoods’ home to the Oval Office, the set design is adorned with some real beauties that say sophistication and timelessness. Here are a few faves spotted throughout the seasons. 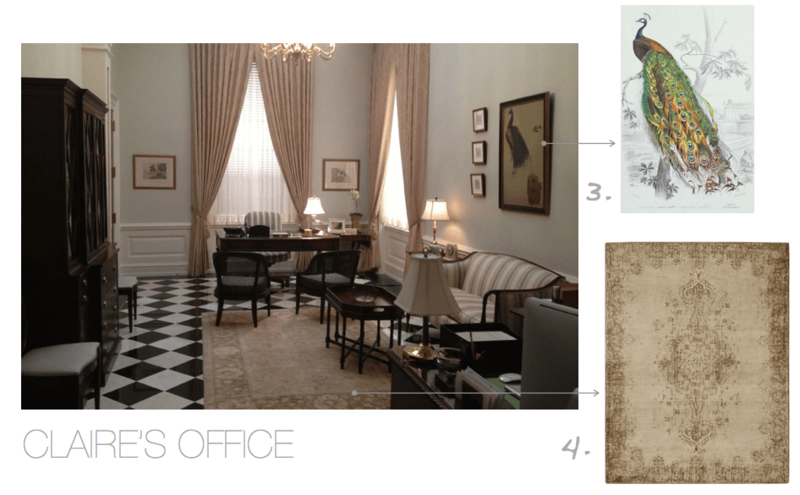 Classically elegant has always been the feel of Oval Office representations. But, here, two pieces take the scene. 1. Crystal + brass hails a Hollywood Regency style in the form of these coveted Quoizel Pineapple Table Lamps. With a traditional bell lampshade, this piece adds a splash of vintage charm. 2. The President’s coffee table has caused a stir. One Decorilla client shared it was a “must-have” for her own living room design. With mixed materials of metal and stone, it’s geometric base pattoffers an Art Deco air. Our Wayfair option closely resembles it, with a smoky glass top instead. Claire’s office introduces feminine aspects of design, a refreshing mood to the mainly masculine environments in the show. 3. Framed vintage pieces of flora & fauna instantly soften a design. 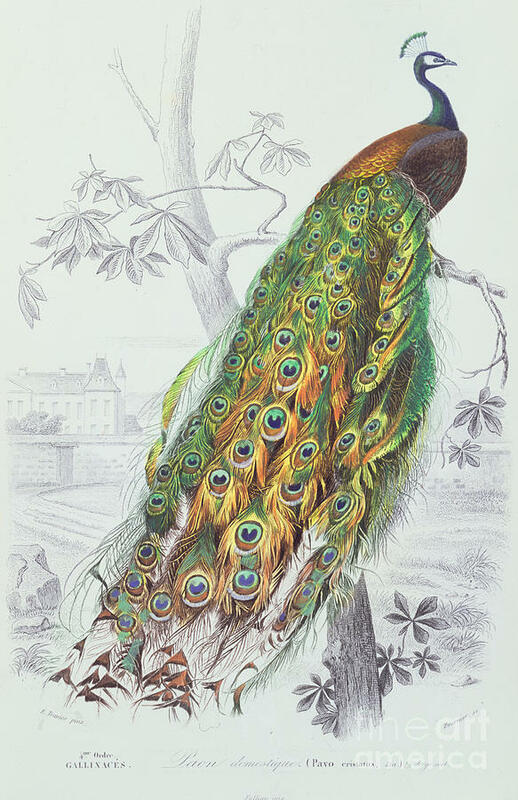 This vintage style painting, mimics the gorgeous peacock found above Claire’s striped settee. 4. A neutral rug like this one found in Pottery Barn tones down the sharpness of the bold checkered flooring while tying in the softer hues hound in the upholstery and art. 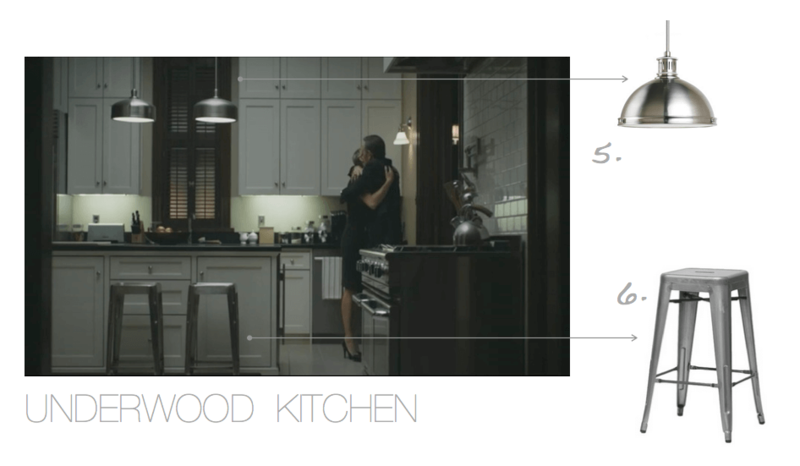 Oh, the Underwood’s kitchen…those subway tiles, the tall cabinets, the metal accents. If you’re like us, you’re loving the overall traditional design with elements of industrial coolness. Read here for more tips on how to pull off the industrial look. 5. Simple and functional, hanging pendants over a kitchen island brings the eye upward, giving the design a holistic scope. 6. Kitchens tend to be the most social room in the house. French industrial stools like these from AllModern are easy solutions to add seating around an island or counter. A work day in Washington D.C. calls for moments of pause from political stresses. Comfortable seating options like the Oval Office sofa and accent chairs always look inviting. 7. Get the look! Striped armchairs like these, with nail head trim are a handsome approach to a living room design. 8. While a little more ornate with curved arm rests and wooden club feet, the essence of the Presidential couch is in it’s elegant neutral color and subtle patterned fabric. A classic piece for sure! As avid fans of this Netflix series, we love finding design gems while we watch. 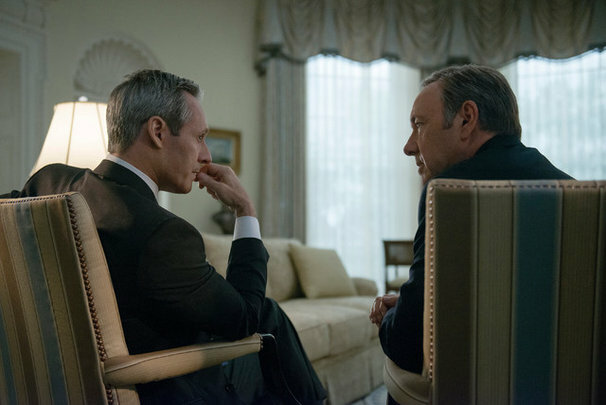 Feeling inspired by House of Cards designs too? Start with our style quiz and let a Decorilla designer help you create the look in your own home!